12,90 € Tax incl. 10,75 € Tax excl. 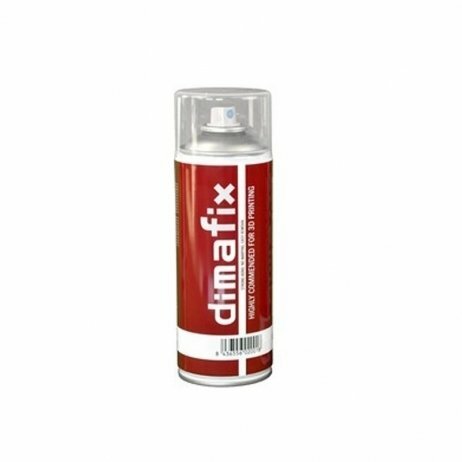 From Dima3D, DimaFix is a high-adhesion spray specially designed for 3D printing. For complex prints with high retraction rate plastics, DimaFix promises unrivalled adhesion even on large pieces in ABS or nylon. Effective on a heating plate, simply apply the spray for a few seconds before printing. You don’t need to reapply DimaFix after each print. Removing the printed object is easy once the plate drops below 40°C. Cleaning the plate is easy – a simple cloth soaked in water is enough to remove traces of glue.